Rounded inside corners look bad. They are usually the result of either poor technique or a joint compound consistency that was too thick. Fortunately, the fix is fairly easy and only requires a few basic tools and some inexpensive drywall-finishing supplies. All you have to do is remove the old corner and replace it with a new one. But this can be a messy process, so cover everything you can with plastic drop cloths or old sheets before getting started. Use a utility knife to cut away the rounded sections of the corner. Score a line down the length of the corner on one side, then do the same on the other. Then gouge out the material. Use a 6-inch drywall knife to scrape down each side of the corner. Remove all loose debris or damaged drywall. The goal is to leave the surface of the corner smooth and ready for repairs. Add water a little at a time to some pre-mixed joint compound and mix it well. Stop adding water once you reach a toothpaste-like consistency. Dip the inside-corner roller (available in most hardware stores) into the bucket of joint compound. Make sure it is coated well. Then roll it along the length of the corner. Repeat this until the entire corner is completely coated with joint compound. Cut a piece of paper drywall tape to match the length of the corner. Fold it in half lengthwise. Then press it into the corner. Embed the tape into the corner by wiping it with your 6-inch drywall knife. The end result will be a sharp corner. Allow your work to dry. Use the inside-corner roller to apply joint compound over the corner again. This time, smooth the joint compound with your 6-inch knife so that the taped corner is hidden. Sand the corner lightly after it has dried. Use an angled sanding block for best results. It will leave the corner smooth and sharp. 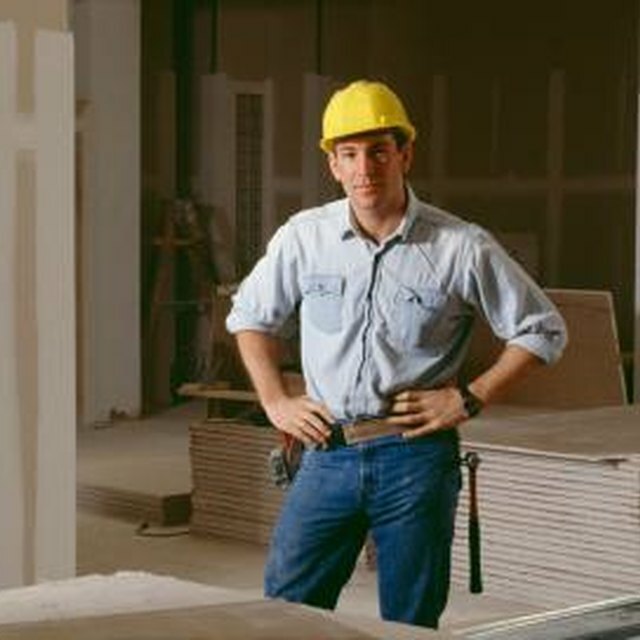 You can save some time by pre-folding a large amount of paper drywall tape. Then just rip off as much as you need for each corner as you go along. If the paper tape tears when you wipe it with the knife, you need to thin the joint compound by mixing in more water. Pull the tape off and try again. Don’t try to do more than one corner at time at first. The process may seem easy, but it will take a while to get the hang of it.